These clutches, stripped of all the fussiness of ornamentation, focus on the austerity of geometry--played up with color, and the lack of. ..Their uncompromising bleakness is quite lovely. 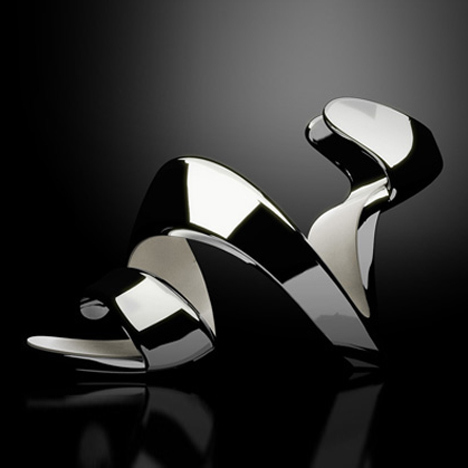 Collaborative Heel Collections by various Architect:Fashion Designer Duos. 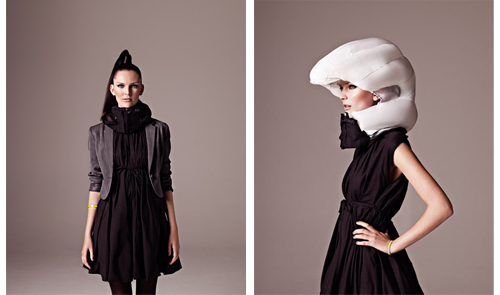 Architects Gone Rogue We thought this was an appropriate topic to segue into the Brooklyn Mynxx's FIRST design article! Whether momentarily dabbling, secretively curious, "beta-testing" by part-timing it, or full-blown operational, there is an undercurrent of architects breaking out of their austere shells and ....going rogue. They are tapping into their default modus operandi to dissect, deconstruct, and reconfigure objects in space. To problem-solve. To create and innovate. These innate, and learned, sensibilities make for - in my opinion - a curiously beautiful melding of design professions. 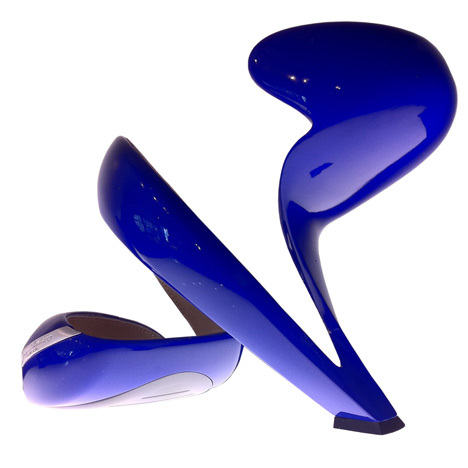 Take, for example, Julian Hakes--a London architect who deconstructed the common notion of a high heel. Stripping it down to the bare essentials. We may all have our differing opinions on the actual comfort and stability of his shoe. However, the mere attempt is certainly something to note.